The journal is published in two issues per year, including spring (June) and fall (December). 1. The editorial rules of the journal have been updated. 2. Authors who send articles to the journal need to add their Orcid number to their user credentials. Click for information about Orcid Number! 3. 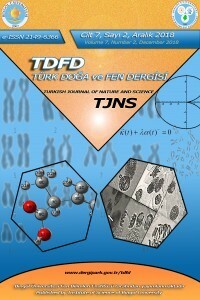 You can send your questions about the journal to Dergipark page or to turkdogafendergisi@bingol.edu.tr e-mail address. It is a national refereed journal. The journal is published in two issues per year, spring (June) and fall (December). The publishing languages are Turkish and English. Important Issues That Block Publishing of Articles! 7. In the preliminary review of the editorial board, if the article is indequate in terms of content, method, discussion, bibliography, language and etc. 9. Articles that have not completed the evaluation process can not be published until the evaluation / revision process is completed.